Did he or didn’t he? Jim Morrison the troubled singer/ frontman for The Doors was arrested on stage at a Miami show after allegedly pulling out his pecker and showing it to the audience. Morrison was charged with lewd and lascivious behavior and public drunkenness. Whether or not Morrison actually exposed himself is unclear- some claim he did- others including his bandmate Ray ‘me and Jim, man’ Manzarek say that he took off his shirt and waved it on front of his crotch to taunt the audience. Morrison would be convicted and sentenced to six months in jail and a $500 fine – he appealed the conviction but died while the case was still under appeal in 1971. There have always been these rumors that Jimbo is still alive- hiding out no doubt with Elvis, Jimmy Hoffa and TuPac- if he ever resurfaces he is good to go- in 2010 the governor of Florida issued him a pardon. On this date The Beatles iconic Sgt. Pepper’s Lonely Hearts Club Band- fell off the Billboard album charts after 88 weeks. 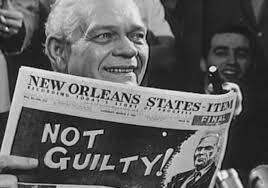 In what can only be labeled a farce- the trail of Clay Shaw- the only person ever indicted by a jury in the assassination of President Kennedy- ended in an acquittal- the jury only deliberated for 55 minutes and concluded that district attorney Jim Garrison had not proven his case. A couple decades later film maker Oliver Stone would use the Shaw case as the basis for his movie JFK- which to use an old Woody Allen quote- was a ‘travesty of a mockery of a sham. Sadly, what a lot of people know about the JFK assassination is- what they saw in this cartoonish movie which throws about every conspiracy theory going into it. There are so many people whose knowledge on the assassination starts and stops with this film- JFK was a great disservice to history. Oscar winning actor Javier Bardem was born on this date 50 years ago. 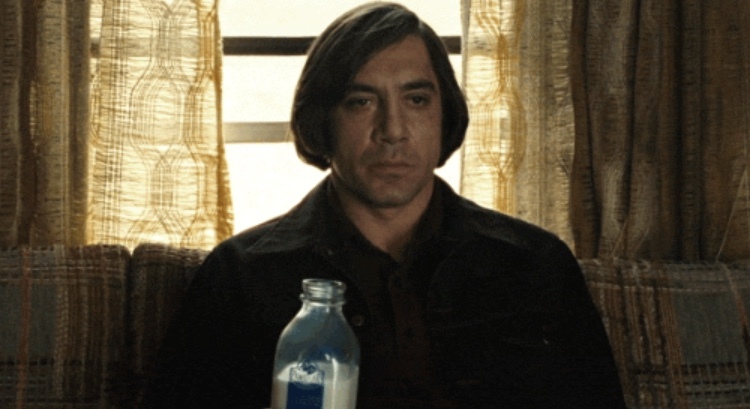 Bardem won the Oscar for Best Supporting Actor in the 2007 film “No Country For Old Men” playing psychopathic assassin Anton Chigurh. A great performance-truly scary character. Javier is married to actress Penelope Cruz. A fun fact on Javier- he cannot drive and he refers to himself as a worker not an actor. Morrison’s funky gravesite in Paris is worthy to see. His music lives on whether he is dead or alive.